The Armenian birch mouse is a small rodent that has similarities with the common mouse and is only found in Armenia. 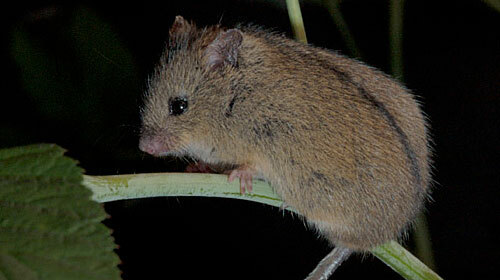 The Armenian birch mouse is found along the head of the Marmarik river and is a close relative of the jeroba and like the jeroba the Armenian birch mouse moves primarily along ground by jumping. The Armenian birch mouse is currently classed as critically endangered due to habitat loss through deforestation. The Armenian birch mouse is a small rodent that can reach up to 90mm in length excluding its tail which can itself be up to 110mm in length. The long tail of the Armenian birch mouse is extremely handy and used when navigating its forest habitat providing extra grip. These small rodents are pretty indistinguishable from other rodents in terms of color, usually being a brown color with a pale underside. The Armenian birch mouse can be found in a variety of habitats within the Marmarik river range including forest-land, steppes and meadows, however the Armenian birch mouse is particularly at home in the forests of mixed conifers. The main diet of the Armenian birch mouse consists of berries, insects and different types of seeds and looking for food takes place during the night hours as the Armenian birch mouse is nocturnal. When not out looking for food the Armenian birch mice spend their days within their burrow and spend at least six months in the burrow when hibernating throughout winter. Although the Armenian birch mice can navigate any of their home habitat with ease their grasping tail is particularly helpful when traversing trees and shrubbery giving these rodents exceptional climbing ability and an extra lifeline. Not much is known about the breeding patterns of the Armenian birch mouse.